Setting up for special events is a cinch when you have Popcorn Stacking Chairs. With optional ganging, you can get neat, professional rows in a flash. 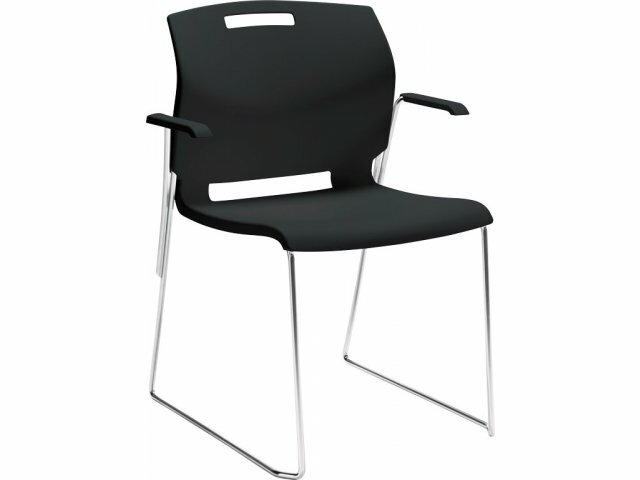 Popcorn Stacking Chairs have a versatile, practical design that is perfect for educational and professional settings. They are ideal for conference areas, classrooms, cafeterias, healthcare spaces and wherever else multi-purpose seating is required. The one-piece polypropylene shell provides a flexible backrest and supportive curves that will keep your guests comfortable for extended periods. It includes a cutout for easy cleaning and a handle which facilitates convenient stacking. These stack chairs are built to enhance your space for the long term. The wall saver design protects against scuff marks. A chrome, steel-rod frame provides sturdy support and increased legroom. 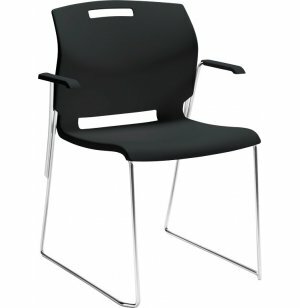 With so many great design features, these stacking chairs are a worthwhile investment for any institution. User-Friendly: Includes a back cutout for easy cleaning and a hand-hold for quick stacking. Each chair weighs 21 lbs. Healthy Environment: Chairs are Greenguard Level 3 certified. Perfect Match: One-piece polypropylene shell available in a selection of colors. 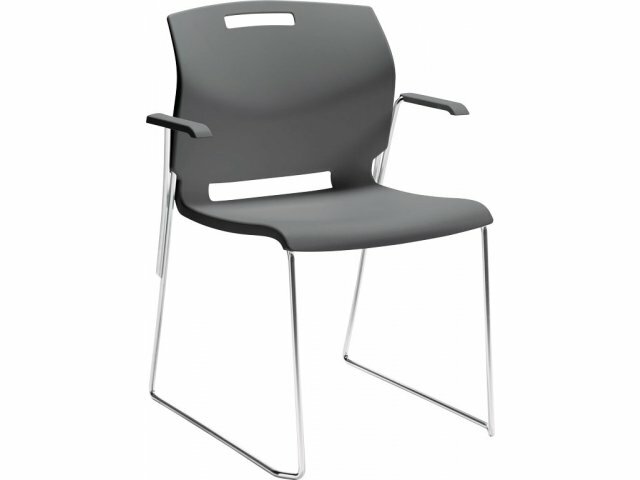 Comfortable Seat: Flexible backrest and supportive contours ensure long-term comfort. Smart Design: Compact wall-saver design protects against scuff marks and provides greater flexibility for tighter spaces. Tough Support: Stands on a ½"-diameter, chrome steel-rod frame. Increased Legroom: Open space beneath the seat with no front crossbar offers increased, unobstructed legroom. Great Accessories: Optional ganging, non-marking glides and chair dolly make these chairs even better.